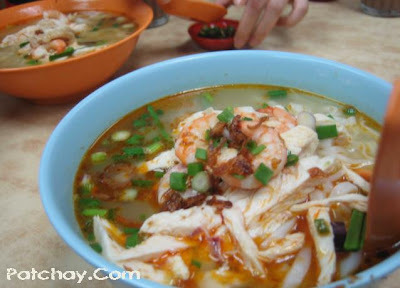 There's apparently a famous shop selling Ipoh Hor Fun and Hainan Chicken Rice in Taman Tun Dr Ismail, so we went to try almost immediately. It's a simple lunch after a late morning exercise in TTDI's Taman Rimba Kiara. 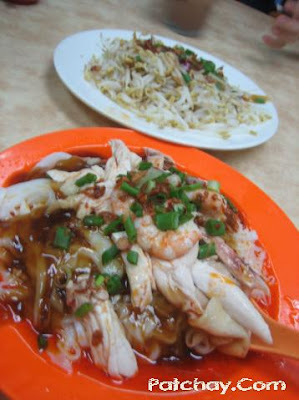 Ipoh Hor Fun (a choice of dry or wet/soup), plus strips of white chicken, some prawns followed by a thick oyster sauce. This is the soup version. 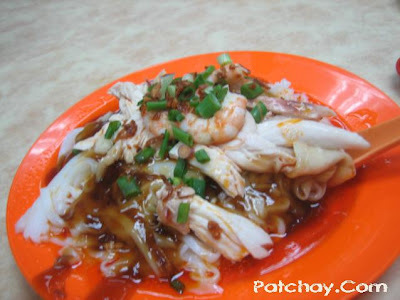 Besides our Hor Fun, we ordered a dish of Hainanese Steamed White Chicken, that was quite overwhelmingly soaked in soy sauce.